Vaccines are not just for Babies! The New Mexico Immunization Coalition (NMIC) is a statewide public/private partnership committed to improving New Mexico's immunization rates. The vision of the NMIC is to achieve and sustain full and timely immunization protection for all people in New Mexico. The goal of the NMIC is to achieve on-time age-appropriate immunization of 90% of all people living in New Mexico by the year 2020. The NMIC meets twice a year, the NMIC Steering Committee meets quarterly, and the five subcommittees meet as needed to move the work of the NMIC forward in its five priority areas: Public Education; Provider Education; Policy and Advocacy; Support for Local Coalitions; and Special Events. 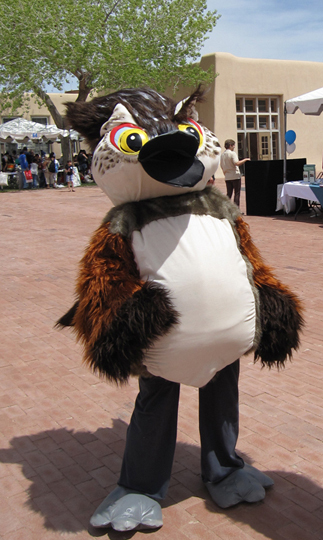 Ricardo Roadrunner, NMIC's Mascot, helps out at an Immunization clinic in Albuquerque.